Log stores come in many shapes and sizes, freestanding and wall mounted models stand proud in your room displaying your logs for all to see, whereas round wicker, rattan, felt and leather baskets are more subtle and ideal for logs, toys or magazines. Outdoor log stores are useful for keeping a larger stock of logs and allowing for wood to season down for burning next year. 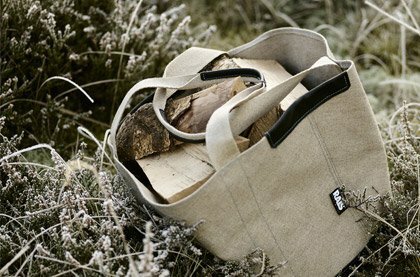 One of our handy log stores or bags might be just what you need to transport from outdoor to indoor. Keep your logs neat, tidy and handy with these stylish storage devices. 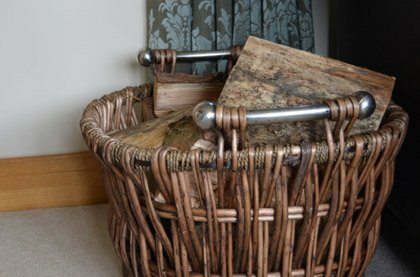 Choose from canvas carriers, buckets, baskets small enough to help you bring your logs inside through to fixed wall mounted indoor log stores and larger outdoor stores. Most people tend to buy logs for burning in bulk, far too many to keep by the fireside, so the majority are kept in a proper log store with some to put by the fire itself. 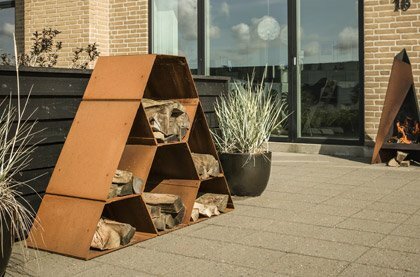 The log store is a stylish solution to the problem of storing large quantities of an irregular shape. 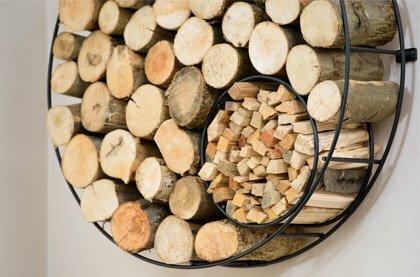 There are many different kinds of log storage, from a freestanding or wall mounted statement pieces that accompany your stove, fire or fireplace standing proud in your room displaying your logs for all to see. Through to round wicker, rattan, felt and leather baskets, ideal for logs, toys or magazines. Carrying logs backwards and forwards between your log store and fire is laborious not to mention tricky, a log carrier or bag is the perfect solution. We have an array of log carriers and bags of an offer, each of which is durable and strong, ready to take the splinters on your behalf and keep your clothes clean and bark free, and allowing you to carry more logs safely and securely in one go.